I know exactly what you are going to say. We are in the dead of winter, we all have dry and dull skin and we are probably all dreaming of sipping hot chocolate or escaping to a warm and sunny destination. 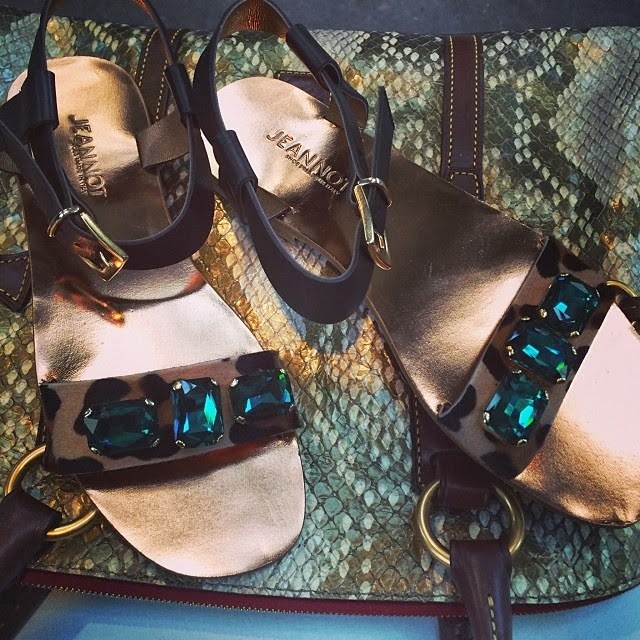 So why in the world am I showing you these summer sandals? Well, last week, I was invited by Winners to have a look at the upcoming spring trends and I had a major crush on these jewelled strappy flat sandals. I already see myself strolling around town or drinking a refreshing sangria on a rooftop terrace wearing these adorable sandals. A girl can always dream!